We Have been told to Delete our Facebook accounts. 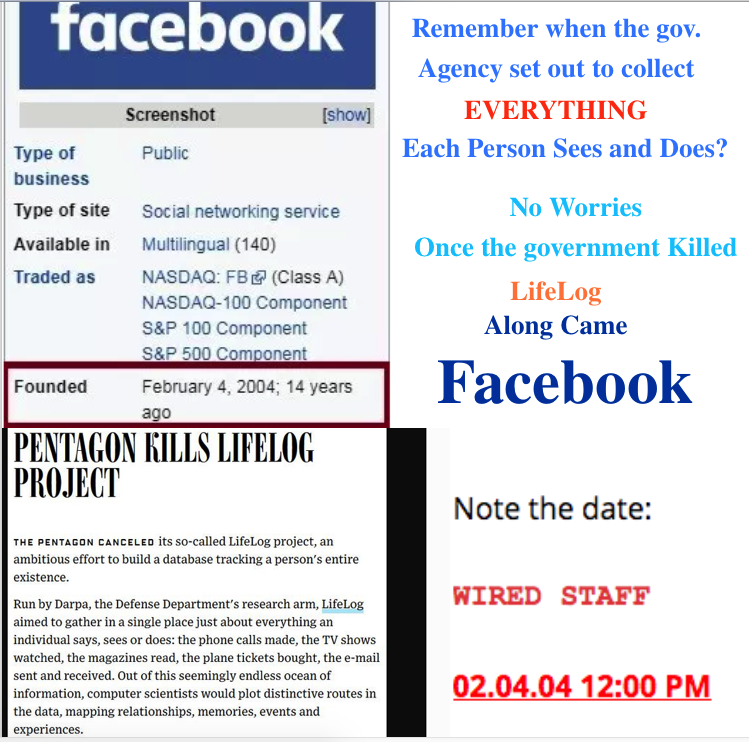 Appears to be the creation from the Cl A's LifeLog Killed day before FB launched. Should you Delete? “If we were to build a fake radar system, it could demonstrate secure hardware, but it wouldn’t be useful to anybody. [DARPA]love the fact that we’re building a demonstrator that might actually be useful to the world,” Kiniry said. Kiniy said Galois will design two basic voting machine types. The first will be a ballot-marking device that uses a touch-screen for voters to make their selections. That system won’t tabulate votes. Instead it will print out a paper ballot marked with the voter’s choices, so voters can review them before depositing them into an optical-scan machine that tabulates the votes. Galois will bring this system to Def Con this year. Members of the public will also be able to use the cryptographic values to independently tally the votes to verify the election results so that tabulating the votes isnʼt a closed process solely in the hands of election officials. Peiter “Mudge” Zatko, a former program manager at DARPA and noted security professional who has testified to Congress on security issues, said this and other DARPA projects are beneficial because they usually spawn new solutions. But he cautions that secure CPUs won’t solve all security problems. 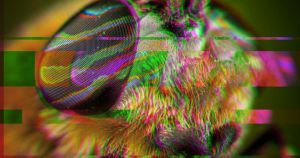 “We should [also]work towards building processors that have more security principles inherent in them,” he told Motherboard. Susan Greenhalgh, policy director for the for the National Election Defense Coalition, an election integrity group, hopes the systems Galois and DARPA are building will finally change the status quo of insecure voting.